Whether you prefer charcoal or gas or are just grill curious, the best way to add flavor to food in the summer is to light up your grill, crack open a beer, and add some char to whatever you’re cooking. Having the right gear makes grilling easier and more fun. There’s nothing worse than watching a beautifully grilled piece of asparagus slip through the grate, or spend ten minutes late at night trying to use your phone’s flashlight to see if the expensive steak you bought is done only to find out it just became another briquette. Which is why everyone who loves to grill should have some good gear. The right gear lets you keep the fire under control and make sure everything is cooked just right. Getting the coals going on a charcoal grill can be an arduous task, especially if you don’t like the taste of lighter fluid. The most effective way we’ve found for lighting charcoal is using a chimney. There are lots of other options that require cords and small jet engines but somehow using a hair dryer to start a grill feels like cheating. WE HAVE THEM IN STOCK TODAY! If you really want to improve the flavor of food from your charcoal grill stop using briquettes and start using hardwood lump charcoal. Lump charcoal is the closest thing we’ve found to grilling over a campfire and comes in a variety of trees like oak, hickory, and mesquite that make it easy to pick the flavor that best complements whatever you’re grilling. STOP BY THIS FRIDAY AND GRAB A BAG FOR THE WEEKEND! How often do you find yourself trying to fish cut up vegetables and other small things, that have literally fallen through the cracks, out of your grill? To make sure our food stays on top of the fire we like to use a couple of different types of grill pans. Larger flat grill pans work well for shrimp, and other medium sized things that should be spread out across the grill; while smaller grill baskets with sides excel with smaller cut up veggies like mushrooms or green beans. WE’VE GOT ALL THE RIGHT GEAR FOR ALL YOUR GRILLING NEEDS! Grilling is all about timing and temperature. The difference between a perfectly cooked burger and a hockey puck is a couple of minutes on a hot grill, which is why it’s so helpful to have the right tools on hand. The first tool every grill needs is a pair of long-handled tongs that work as a fire-proof extension of your hands. We like the way these tongs have a built-in kickstand that helps keep them clean and from messing up the grill. CHECK OUT OUR SELECTION OF EGGCESSORIES! There are lots of things that will tell you when your food is done. In our opinion, it’s worth investing in a high-quality instant-read thermometer . Good thermometers can cost a bit of money, but after years of going through tons of cheap unreliable ones, we’ve come around to believing that every kitchen should have a quality thermometer or two. Here at Rick’s we have a wide variety of grilling accessories. 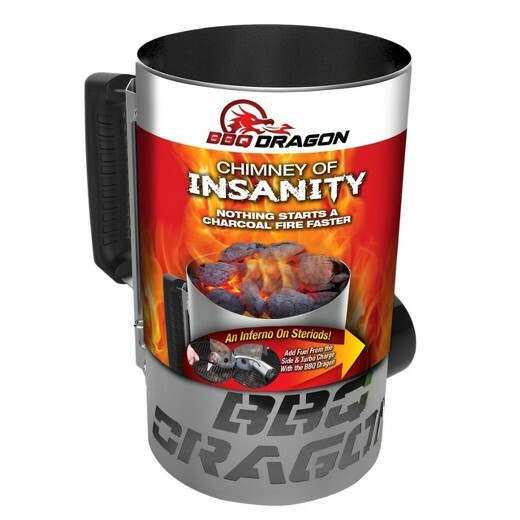 Everything from BBQ Dragons, to smoking chunks, to pizza cutters! Summer is approaching quickly, are you ready? Stop by today and check out our selection. Open Monday through Friday 8:00 a.m. to 5:00 p.m. and Saturday 10:00 a.m. to 2:00 p.m. If there is a secret to grilling, it’s heat control. Learning when to use high heat to crisp things up and when to back off and use indirect heat are the foundation of great grilling. Of course, every grill is different, and we’ve never seen, nor do we want to see, a grill that delivers perfectly uniform heat across the entire grill; which is why it’s so important to test your grill. Understanding where the hot and cool spots are on a grill allows you to cook different things at the same time and have them finish together. It also lets you use different techniques, such as searing and indirect heat in ways that let you grill a perfectly medium rare steak with a nice char on the outside without having to continually monkey with the grill. There are lots of ways to learn how a grill delivers heat if you’ve got Warren Buffet money you could have a thousand monkeys grill a thousand filet mignon. If you’re like us and don’t even have Jimmy Buffet money, we recommend using the white bread grill test. The white bread grill test is the easiest test you’ve taken since third grade, and at the end, you get a nice little heat map showing exactly where a grill runs hot, where it runs cold, and where the temperature is just right. It’s the kind of test Goldilocks dreams about. For the white bread grill test, you’ll need a loaf of white bread, a timer, tongs, and a grill. 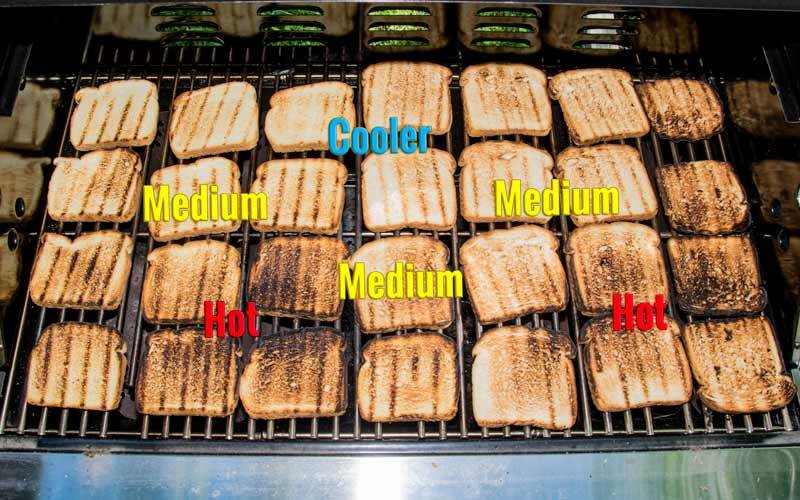 The reason we recommend using white bread for this test is because the way the bread changes color shows how much heat different parts of the grill get and because it’s the only thing we’ve found cheap white bread to be good for. Start by preheating the grill for ten minutes on high, then back the heat down to medium for another five minutes. The goal is to recreate, as much as possible, how the grill is usually used. Once the grill is preheated, spread a single layer of bread across the grill, close the cover, and let the bread grill for 1 minute. When the timer is done turn the burners off and flip the bread over in the same place it was on the grill. It helps if you flip the bread over in the same order you placed it on the grill to try and get as even cooking as possible. To get the most out of this test, take a few pictures to remember where the hot and cool spot are on your grill. As you can see in the heat map, the grill produces a lot more heat towards the front of the grill than in the back, and there are a couple of spots towards the front where the burners put out more heat. The heat map shows that if you want to sear something it should be placed towards the front of the grill and then moved backward as it cooks, to make sure it cooks evenly all the way through. It also shows that if you want to keep something warm without a lot of additional cooking it should go towards the back and center of the grill. You can even get fancy and set the picture as the background on your phone or tablet so you have easy access to the heat map anytime you’re grilling. As you use the grill try cooking things in different areas, using the heat map as a guide to see what temperatures and locations work the best for different kinds of food. The heat map’s real value is it gives you an overall picture of how a grill really works, which is a lot more effective than guessing and a big step towards better grilling. Grilling season is upon us. Is your backyard barbecue ready for action? CBS2’s Carolyn Gusoff got some grilling tips from two names synonymous with barbecue on Long Island you should consider before your first summer cookout. Al Horowitz, better known as “Smokin’ Al” has cooked for thousands of Islander fans at the Coliseum. The restaurateur pulled out his original backyard smoker for CBS2 to remind everyone the first step of grilling is cleaning – especially cleaning the outside of your barbeque. Next, do a safety check. The experts at Jetmore in Wantgh recommend you turn on the tank and spray soapy water on hose connections. “If it bubbles you have gas leak there, you should either retighten the connection or replace the hose, Jetmore manager Larry DiPalma said. A leak is a fire hazard and so is grease. Experts say clean the grates too. You’ll need tools for tougher residue, which is also a bacterial hazard as well. To make it easier on your post-grilling wash, experts say clean off gook right after you cook. “It’s so easy, once you finish… just take a minute and clean off all your grates and get all that food off. Then you’re ready to go the next time,” Horowitz explained. Don’t forget to clean the burners too. “You can remove these heat plates… get to the burners which are underneath… you want to brush these down and make sure all the ports are not clogged with grease,” DiPalma added. 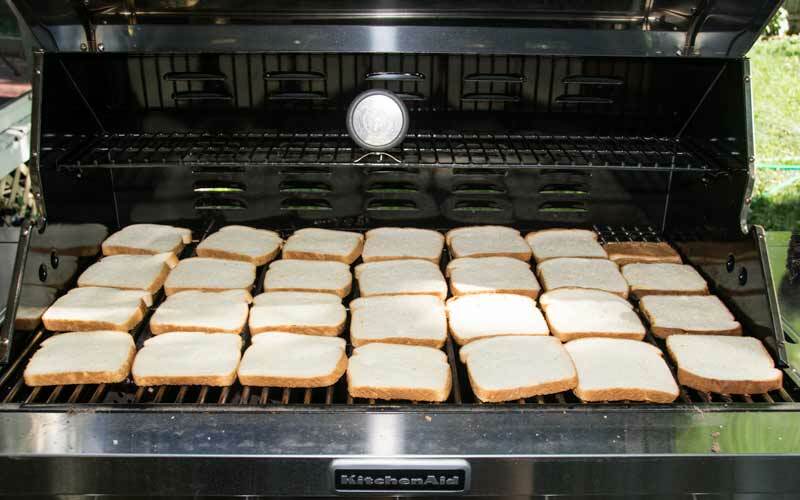 Smokin’ Al also recommends doing the “white bread test.” It will help you know your grill’s hot spots – so you don’t burn your food one section that’s hotter than the rest of your grill’s surface. TASTE - It’s a fact, cooking with wood tastes better! VERSATILITY - Grill, smoke, bake, roast, braise, and BBQ! EASE - No need to babysit, just set it and forget it! CONSISTENCY - Perfect results with every single cook! COMMUNITY - Daily recipes and best-in-class service! HOPPER - Flavor begins here. Simply add the wood pellet flavor of your choice to fuel your grill. AUGER - Industry best drive-train delivers your hardwood pellets to the fire pot. FIRE POT - Auto ignition starts with the hot rod, which ignites the pellets and creates the fire. FAN - Variable speed fan stokes the fire while simultaneously circulating smoke and heat around your food. Check Out the Traegers We Offer! THE ALL-NEW 2019 PRO MODELS! PERFECT FOR TAILGATE PARTIES, CAMPING, AND ROAD TRIPS! Make sure to stop by today and check out our selection of Traeger grills, accessories, and hardwood pellets! We assemble and deliver! Open Monday through Friday 8 a.m. to 5 p.m. and Saturdays 10 a.m. to 2 p.m.
New research shows increased consumer interest in hearth and hearth accessory purchases. To help guide would-be buyers though this rewarding investment, the Hearth, Patio & Barbecue Association launches #FiresideChats, a communications program to educate consumers on the overall hearth landscape and encourage investing in premium hearth products. - Emily McGee, Director – Communications, HPBA. Guest John Crouch, Director of Public Affairs, HPBA, will be live from the floor of HPBExpo, the nation’s largest trade show for the indoor hearth and outdoor patio industry, to discuss the pros and cons of different types of hearth products on March 14 at 1:00 pm ET. Mid-month, HPBA will explain the benefits of investing in hearth products and dispel common concerns including cost, safety, and air quality. To end the month, a hearth retail expert will guide potential buyers through the hearth retail experience to ensure consumers know the safest and smartest way to purchase hearth and hearth accessories. This series of Facebook Live events will give consumers a high-level overview of the hearth industry as industry experts will be live to discuss general areas of interest including the benefits of hearth, the different types of hearth products, how and where to buy hearth, and answer attendee’s questions in real time. Each year, crews from the Douglas Forest Protective Association and local fire departments respond to wildfires caused by the dumping of hot ashes from a fireplace or wood stove. While the use of fireplaces and wood stoves inside homes are not restricted by DFPA, it is important that homeowners take the proper precautions when disposing of the ashes so they don’t start a wildfire, officials say. This was demonstrated Wednesday afternoon when crews from DFPA responded to a smoke report in the 4,000 block of Azalea–Glen Road near Azalea. Firefighters located and suppressed a natural cover fire that burned less than 1/10th of an acre near a home site. A preliminary investigation indicated that the cause of the fire was related to the dumping of hot ashes from a wood stove. Ash from a fireplace or wood stove can retain enough heat to ignite other combustible material for several days after a fire. When possible, allow the ash to completely cool in the fireplace or wood stove. Never put hot ash into a paper or plastic bag, cardboard box or other similar container. The only type of container suitable for ash storage is a metal container with a tight fitting lid. Spray water on the ash prior to attaching the metal lid to the metal container and allow them to completely cool, outside, away from your home. Never store your metal ash container with ashes in them on your deck, in your garage, or in any location that may allow heat to transfer from the hot coals to nearby flammable materials. Once the ash has completely cooled, only dump them in areas free of flammable vegetation. As an additional precaution, have a garden hose and shovel on site when you dump the ash so you can spray water and mix the ash to ensure that they are completely extinguished. 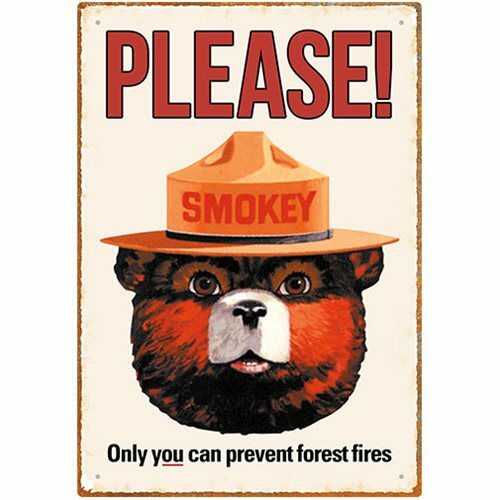 Fire officials remind that those found to be responsible for a fire caused by the dumping of hot ashes may be cited for the start of the fire and held liable for fire suppression costs and associated damages. Jack Goldman, president and CEO of the Hearth, Patio & Barbecue Association, summarizes the dramatic innovations that have recently been made in the design of wood, gas and electric fireplaces–vastly increasing the potential for their use throughout the home. Contemporary, see-through fireplaces that warm multiple rooms. Prefabricated gas fireplaces that mount directly to the wall. Electric fireplaces that look realistic and can really put out the heat. No, these are not the fireplaces you knew when growing up in your parent's home. Today's innovative new fireplaces are designed for visual excitement, two-sided exposure, and installation in locations previously unconsidered. "The conventional fireplace has all but been reinvented in recent years. Today's fireplaces cater to the specific needs and wants of homeowners," says Jack Goldman, president and CEO of the Hearth, Patio & Barbecue Association (HPBA). Goldman says that a decade ago, generally only the extremely wealthy would have considered having more than one fireplace in the house. "There are so many new products on the market today that can fit any budget and style." While your parents may have had a wood-burning fireplace, the chances are that it wasn't outfitted with an insert. "Fireplace inserts with glass doors have become the standard, retaining the heat generated by the fire when in use, and limiting draft when not," says Goldman. "Woodstove design has also been updated in recent years allowing for a wide array of designs ranging from traditional to ultra-contemporary." Goldman says that gas and electric fireplaces are now installed for aesthetics and mood as well as heating purposes. "Architects have embraced the long, sleek horizontal fireplace surrounds and are incorporating them into their contemporary interior designs." Equally exciting, he says are two-sided fireplaces that are increasingly being used in home designs. "When you consider the visual impact and benefits of a two-sided fireplace, the extra expense associated with it seems relatively low." Goldman says that second and third fireplaces are being installed in existing homes–sometimes for the calming effect they evoke. Specifically, he refers to gas and electric fireplaces that can be mounted directly to the wall, which in many cases do not require venting. "Because of this, fireplaces are making appearances in kitchens, baths and other private rooms of the house." Goldman says that hearth-related innovations are not limited to home interiors. Outdoor fireplace kits using traditional masonry or pre-engineered masonry products range in design from simple to majestic. 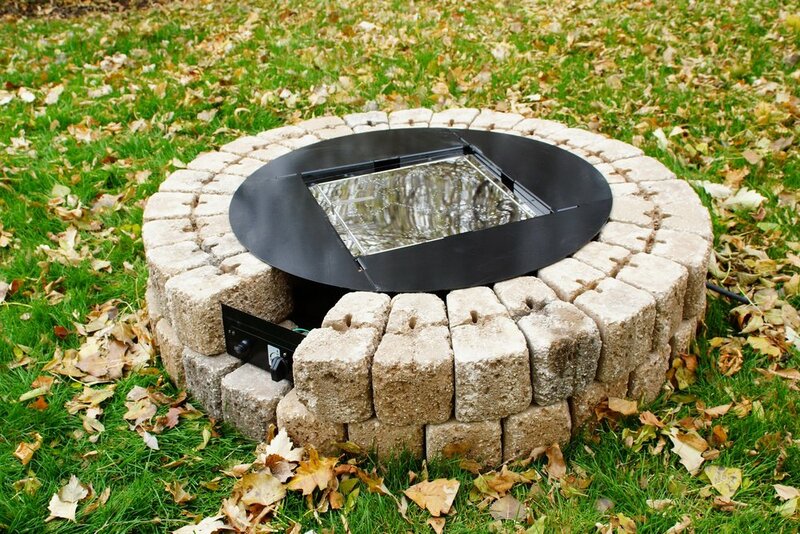 The gas-fueled fire pit has also been given a new stage with its integration into the design of patio furniture and other outdoor architectural features. Many new forms of media, such as the simulated gemstones, have been developed for use in gas applications both in and outside the house. Other products include large river-worn stones and sophisticated metal sculptures. To experience the true impact of these and other fireplace products, Goldman suggests visiting the showroom of your local hearth shop. The HPBA website also features a Hearth Gallery of images on its Consumer Information tab. HPBA, based near Washington, DC, is North America's leading advocate for manufacturers, retailers, distributors and allied associates of fireplace, stove, heater, barbecue, and outdoor living appliances. HPBA provides professional member services and industry support in government relations, events, market research, education, certifications, consumer education, and industry promotion. Learn more at hpba.org. How To: Build A Gas Fire Pit in 10 Steps! A fire pit is a great way to enjoy time outside. This easy DIY project is great for all skill levels and customizable to your own backyard or patio. It can be built in grass, on concrete, or patio pavers. Gather around a warm and cozy fire with family and friends to create memories that will last a lifetime. 1. Before assembling your gas fire pit, plan where you want to build it and decide how you will supply gas to this location. If you choose to run a natural gas line to the unit, be sure to have it installed by a certified gas technician before you begin this project. Check any city ordinances as well, to ensure your new fire pit will be legally built to code. 2. 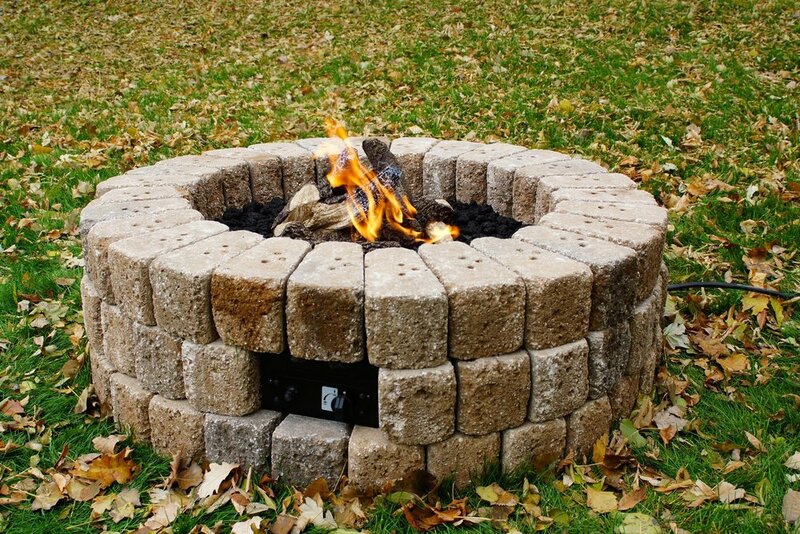 If putting your fire pit in grass, mark a 40” diameter circle and remove all grass, sod, and roots. Remove 2” of soil within the same area. Be sure to level the soil where your fire pit will be built and add between 1-2” of paver base. Pack the paver base and use a level throughout the process. 3. After the paver base is installed, if using in grass or on top of a paver patio, install the vapor barrier. This will prevent moisture from the ground and protect your Gas Burner Kit. The vapor barrier is not needed if building on a concrete slab. 4. Next lay your first ring of hardscape block in a circle. We chose to use 4” tall tumbled radius pavers, but you can also use retaining wall block or something similar. We recommend an interior diameter between 32”-37”. Use a rubber mallet to level. 5. Place the next ring of concrete block, leaving space for the control panel and optional vent block. If you choose to forgo the vent block, concrete blocks must have adequate space between them to allow air flow underneath the burner, we recommend at least 10 square inches total. Consult your Gas Burner Kit manual for specific instructions. 6. Once you have your concrete blocks spaced appropriately, carefully remove one block at a time and apply concrete adhesive. Place the block back on the ring and apply pressure. Repeat this process for each block. 7. Assemble your burner and place on top of the concrete block ring. Ensure there is at least 1” overlap to secure the burner ring. Consult the Gas Burner Kit manual for proper assembly instructions, clearance to combustible ratios, and gas connection instructions. 8. Lay the third layer of concrete block. Repeat the adhesive process from step 5. 9. Let concrete adhesive cure. Add Lava Rock until burner area is covered with approximately 2 inches of rock. 10. Light your new fire pit, sit back, relax, and enjoy! A roaring fireplace in your home can help to make those cold winter nights seem much warmer, while it can also reduce your energy bills and create a homely environment in your living room that the whole family can enjoy. Indeed, if you have a fireplace in your home, then you should make sure that it is regularly cleaned and maintained to prevent any problems from occurring. A failure to maintain and regularly clean your chimney could result in you having to pay for chimney repair by an expert who would fix any problems that have occurred with your chimney over time. Therefore, if you have a chimney in your home, you can enjoy these main benefits of having a clean fireplace and an efficient chimney system. Like every ventilation system, a chimney requires regular maintenance and cleaning to prevent blockages from occurring. However, unlike most normal ventilation systems which are blocked or damaged, a faulty chimney could result in a significant safety hazard, while house fires are often caused by neglecting the chimney or the fireplace. It should be noted that a chimney fire could result in you having to pay for chimney repairs which could be expensive, especially if the structural integrity of the chimney has been compromised in a fire. If you want to avoid a chimney fire or other disasters from happening in your fireplace, then you should consider contacting your local firm of chimney cleaning and maintenance experts as soon as possible. By contacting your local firm of experts, you can ask for advice or schedule an inspection to make sure that the chimney in your home is not dangerously blocked which could result in a fire breaking out inside the chimney. It is also important to make sure that the structural integrity of your chimney is maintained to a high level. If you are suffering from crumbling mortar or bricks, then you may experience serious issues with inefficiency or blockages, which can also contribute to the outbreak of a chimney fire. It should also be noted that in order to make sure that your chimney is as safe as possible when you want to have a fire, you should ensure that the structural integrity of your chimney is maintained. Lastly, if you carry out regular inspections of your chimney, you can make sure that any potential problems are reduced. This will make sure that your family will be safer than if you neglect to maintain the chimney or fireplace in your home. In addition, if you want to make sure your home is more secure, then you should consider installing a screen around your fireplace to prevent embers coming into contact with flammable materials in the room. Furthermore, you should also make sure that all the smoke detectors in your house are working and that the batteries have enough charge in them to notify you in the event of a fire in the future. Therefore, you should consider the benefits of maintaining the chimney as well as the fireplace in your home to prevent chimney fires or expensive chimney repairs from being conducted. As the nights grow colder, you will probably start turning up the heating in your home (and who could blame you?) but as eco-friendly people know, it’s not very green. One of the most environmentally friendly ways to heat your home is a wood burning stove. Compared with central heating systems that run on coal, gas, or oil, they are more energy efficient, cleaner to use, and far greener.To give you an example, many architects and builders are choosing to install wood burning stoves in new build houses to meet certain sustainability requirements and laws. Yes, you heard right. Burning wood is significantly more sustainable than other forms of heating.The amount of carbon that is emitted from wood during the burning process is far less than that of other fossil fuels, especially coal. In fact, burning an entire tree’s worth of wood (not that you should do it all in one go) will only release the amount of carbon that has been extracted from the atmosphere and stored by the tree over its lifetime. In addition, a tree will produce the same amount of carbon whether it is burned or left to decompose, so burning untreated wood will not release any extra pollutants into the atmosphere. Even better, you can use waste wood to cut your own costs (by not having to pay for your heating) and environmental waste (by saving things from the dreaded landfill). Where would you get this waste wood? If you’re concerned about how to safely turn this type of waste wood into firewood, consider investing in some professional firewood processing equipment, like that supplied by Fellotool. Log saws and wood splitters will turn tree branches and the like into firewood much faster than doing it by hand, leaving you more time to relax in front of the roaring fire. Unlike the big three fossil fuels (coal, oil and gas), wood is a renewable energy source and if buying new wood (as opposed to waste wood) it is sustainably sourced i.e. a new tree is planted for every tree cut down. The fact is that open fires are far more wasteful interms of heat that a wood burning stove that is specially built as an effective source of heat. For example, some models of wood burning stoves will even re-circulate the gases emitted from burning back into the stove to be burnt off (creating more heat) and many heat water through a back boiler which will heat the rest of the house (reducing your dependence on fossil fuels). So, what did you think of the eco-benefits of wood burning stoves? Do you already have one? Let us know in the comments below. You are not the only person who considers an amazing idea to install a fireplace in their house. Fireplaces are popular home additions worldwide, because they bring a certain atmosphere to a house. You as the homeowner of the house will have numerous advantages. The present market offers people a wide-array of options from which to choose, there are gas fireplaces, electric fireplaces and many other models. They are considered beautiful and convenient additions to a house. However, you do not install a fireplace in your house daily, it is the type of addition that has to be analysed. You should do great research, before deciding upon the model, you want to have in your living room. Why do people love fireplaces? Nowadays on the market, you can find only models that can be used in safety conditions. It is your role to maintain them properly. It is stated that the gas and electric models are considered safer than wood ones but if you care for them, these ones will also be safe. The models that work on gas and electricity do not require great maintenance, because their manufacturers have to respect numerous safety regulations when they design them. The fireplace is not only a beautiful addition to a home, but it also offers an affordable and efficient heating solution. It does not matter the design of the house, there is definitely a model of fireplace you can install there. And the majority of fireplaces are easy to install, especially if we are talking about the electric and vent-free gas ones. These models do not require a home remodel, because they can be installed anywhere you want. But if you want to install a wood fireplace, then you will have to prepare the space. As stated before fireplaces use different types of fuels, but all of them come at affordable prices. The persons, who want to save money when it comes to energy, prefer the electric models. However, if you are living in an area abundant in forests, then you will be able to buy wood at low prices, and a wood fireplace would help you save money. The persons, who want to install a fireplace in an apartment, prefer the electric models, because they do not have to create a chimney. But if you live in a house then the wood one will create a great atmosphere. From the moment when you will install the fireplace, you will notice that the look of the house will change. All the homeowners who have installed fireplaces totally love them, because they improved the design of the rooms in which they were installed. People feel more comfortable in a house that has a fireplace, because the fire generates a natural warmth people love. If you will sit in front of your fireplace during the winter months, you will feel more relaxed. And a fireplace will also increase the value of your house in case you want to sell it in the future. Do you prefer a certain style of fireplace? Some people are nervous, and they do not know if installing a fireplace in their house is a good decision. This happens when the house is already built, and the furniture is already installed. They have the misconception that the fireplace will change the style of the room. You should not worry, because there are numerous fireplace models, and even the pickiest person can find a model that meets their preferences. It is important to know what style you have used when you have decorated your house, and to filter the fireplace models according to it. The majority of homeowners prefer contemporary fireplaces. But if you have designed your house in a more traditional way, then there are plenty of traditional models on the market from which you can choose. Do you have specific heating efficiency requirements? Everyone knows that a fireplace can reduce the heating costs of a house, but the majority of owners do not know exactly how much they will be able to save. The fireplace will allow you to heat your rooms, especially if you use a gas one. Studies show that depending on the model of the fireplace, the owners of a house can have energy bills lower by around 30%. Do you want an unvented or vented gas fireplace? In case you want to use a gas fireplace, then you should know that there are two different types on the market. Every one of them requires specific fireplace service so, this is one of the aspects you should consider when making the decision. The direct vent fireplaces come with a sealed combustion system and it is quite useful because it protects the quality of the air from the room where it is installed. The unvented fireplaces do not have a venting system, and they draw the indoor air and oxygen for the fire. Check if the regulations from your area specify if you should use a certain type of fireplace because there are regions where the unvented fireplaces are not legal. Of course that you have a budget, only if you are a billionaire you do not pay attention to money. But if you are a regular person, then you have a budget for every home addition you make. There is a fireplace for every budget; the key is to search and to make the best decision. There are available basic units that are both functional and economical. But you can also find luxurious models that come with features you may not even have heard about. 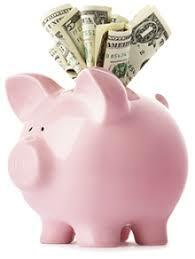 Do not forget that the fireplace will help you save money with your energy bills. It is worth to pay more than you have initially planned, if you know for sure that you can save later with your energy bills. Here's why so many homeowners are putting kitchens in their backyards! Homeowners across the Tri-State have upgraded their backyard barbecue game. They've added storage space and sleek counter tops complete with a state of the art built-in grill. They're hitting up the guys at Route 23 Patio to get the job done—the outdoor entertaining pros have everything at their supply store in Sussex County, from the individual outdoor kitchen pieces, to the trucks you need in order to move them. Cooking indoors heats the kitchen up while you're trying to cool it down with air conditioning. Keep the A/C from having to work extra hard to keep the temperature down by moving the cooking outside. Grilling makes your food tasty—without all of the added fat you'd be using if cooking indoors! The outdoor kitchen makes each step of party planning a little easier. For pre-party meal prep, the extra-spacious and open outdoor kitchen keeps you from bumping into others who are trying to help set up. During the fete, it'll also save you endless trips in and out of the house to get food. Afterwards, cleanup is much less of a pain because anything that spills onto the floor (barbeque sauce, veggie trimmings…) doesn't need to be swept and mopped. Just grab the hose. On Aug. 10, the U.S. EPA delivered a pre-rule to the White House Office of Management and Budget related to a 2015 rule that set performance standards for new residential wood heaters, hydronic heaters and forced-air furnaces. This is the second time in August the EPA has delivered a proposal pertaining to the 2015 rule to the OMB. The EPA finalized a rule in February 2015 that made revisions to new source performance standards (NSPS) for new residential wood heaters. The rule updated 1988 NSPS to reflect advancements in wood heater technologies and design. It also broadened the range of residential wood-heating applications covered by the regulation. The rule also streamline the process for testing new model lines by allowing the use of ISO-accredited laboratories and certified bodies, which expands the number of facilities that can be used for testing and certification of the new model lines. According to information published on the OMB website, EPA’s pre-rule aims to solicit comments on issued raised by the industry with regard to the 2015 final rule. Alternatively, a proposed rule delivered to the OMB earlier in August proposes “to allow retailers a period of time after the May 2020 compliance date to sell units that were manufactured before the May 2020 compliance date,” according to information released by the OMB. Additional information on the pre-rule is available on the OMB website. Stop swimming upstream and start smoking salmon with ease. Our smoked salmon recipe takes all the guesswork out of the equation, leaving you perfectly smoked salmon every time. Remove all pin bones from salmon. In a small bowl combine salt, sugar and black pepper. Lay a large piece of plastic wrap on a flat surface that is at least six inches longer than the fillet. Spread 1/2 of the mixture on top of the plastic and lay the fillet skin side down on top of the cure. Top with another 1/2 of the cure spreading it evenly over the top of the fillet. Fold up the edges of the plastic and wrap tightly. Place the wrapped salmon fillet in the bottom of a flat, rectangle baking dish or hotel pan. Place another identical pan on top of the fillet. Place a couple of cans or something heavy inside the top pan to weigh it down making sure the weight is distributed evenly. Transfer the weighted salmon to the refrigerator and cure for 8-12 hours. Remove the salmon from the plastic wrap and rinse the cure completely. Place skin side down on a wire rack atop a sheet tray and pat dry. Place the sheet tray in the refrigerator and allow the salmon to dry overnight. This allows a tacky film called a pellicle to form on the surface of the salmon. The pellicle helps smoke adhere to the fish. When ready to cook, start the Traeger according to grill instructions. Set the temperature to Smoke setting (set to Super Smoke if using a WiFIRE-enabled grill) and preheat, lid closed for 5-10 minutes. Place the salmon skin side down directly on the grill grate and smoke for 3-4 hours or until the internal temperature of the fish registers 150 degrees F.
Enjoy warm or chilled. Enjoy! Stop by our grill section and check out our selection! 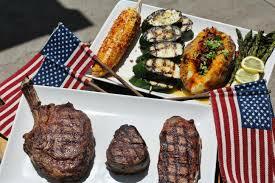 Hearth, Patio & Barbecue Association Encourages You to Stay Safe on the Most Popular Grilling Day of the Year! As fireworks light up the night sky, grills will be ablaze in backyards nationwide as many celebrate our country with a favorite American pastime. But remember safety first when you light up your grill this Fourth of July. 1. Start with a clean scene. Give the grill a deep exterior and interior cleaning. Dry-scrub the gunk off your grates, burners, and interior surface. Wash exterior with soap + water. Check for rust and replace rusty parts. Check for leaks by brushing soapy water on your valves, hoses, and connectors. Bubbles indicate leaking gas. Check the burners to ensure they are burning evenly. Replace any parts not working correctly. Check all parts and levels. Do a walk around inspecting all grill components. Check for sneaky spider nests, low propane tanks, and loose screws. 3. Take care along the way. Prevent food from sticking by applying a light coat of high-smoking-temperature oil (such as peanut oil or cooking spray) on the grate before turning on the grill. For charcoal grills, line the bowl with aluminum foil. After grilling, and once the grill and coals are cool (as a rule of thumb, always allow coals to burn out completely and let ashes cool at least 48 hours before disposing), simply discard the foil with the coals and ash. Then, wash and reline with foil for next time. If you must dispose of coals and ashes before completely cooled, place them in heavy-duty foil and soak with water completely before disposing in a non-combustible container. After you use your grill, brush off the cooking grate while it’s still hot. 4. Treat your grill brush safely. Grill brushes are like toothbrushes. When you see the bristles beginning to flatten or lose their efficacy, it’s time to replace. Avoid leaving grill brushes exposed to the elements when not in use. The rain, sunlight, humidity, snow, etc., can age them prematurely. Treat your grill brush just as you would any part of your grill and grilling environment: Follow manufacturers’ instructions and continuously inspect before and after using. for easy and convenient placement and removal of the convEGGtor. Dress your BBQ spread to impress with our lineup of homemade sauces. Whether you’re grilling classic burgers, to tacos or beefy sandwiches, these sauces will not only take your creations to the next level, they might just steal the show. Make your 4th of July cookout one for the books and dip, spread, and douse your meal using these easy sauce recipes. We’re bringing the heat with this stuff. Smoked hot peppers meet onion, vinegar and a pinch of sugar for a sauce that will have your taste buds smokin’. Meet your new secret weapon. This versatile sauce is perfect for everything from burgers and fries, to beefy sandwiches. This sauce is as easy to make as it is full of flavor. Our Smoked Bloody Mary Mix and Sweet & Heat BBQ Sauce combine forces for a sauce perfect for steak, wings, or pulled pork. Traegering some seafood for the 4th? Dip it our smoked tartar sauce to really take it over the top. This sweet and spicy relish is the perfect topping for anything that needs an extra kick. Make it at least a day ahead to really let the flavors shine. No matter what you’re making, our selection of homemade sauce recipes will take your meal to the next level. They’re so good, and so simple to make, you may never buy store-bought sauce again! TRAEGER BBQ BRISKET HOT DOGS!